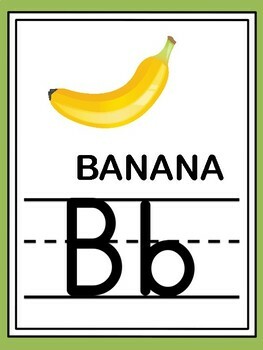 A is for Apple B is for Banana. 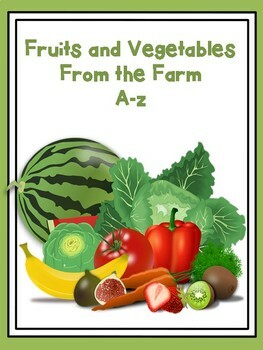 Fruits and vegetables from the farm. 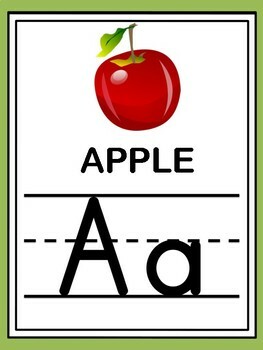 This product can be used to review the upper and lower case alphabets during circle time, small group instruction or when working with individual students. 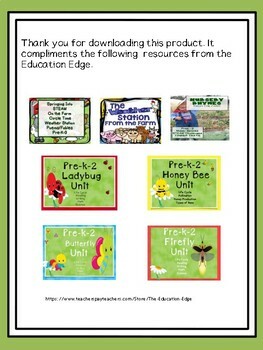 It is colorful so it looks great in centers or on the walls of the classroom. This product compliments the following resources.